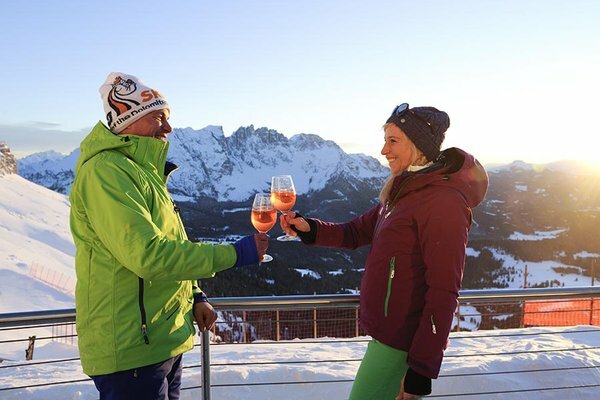 The winter landscape with more than 300 sunny days is the best place for winter excursions on the foot of Latemar and Rosengarten in the UNESCO world heritage Dolomites. By being active you are going to be healthier, have a better and new quality of life and it’s also funny. It’s a pure adventure to walk through white woods and meadows and enjoy the snow-magnificence. Winterwander means to discover the nature! Hiking in Carezza is a lot of things, but never boring. A number of winter hiking tours invite you to go on relaxing strolls to breathe in the fresh, clear air while your eyes rejoice in the delightful surroundings. Find many pristine areas around the highly developed ski resorts where you can indulge in the new trend sport snowshoeing. Rent the necessary equipment on location. Furthermore, the Catinaccio and Latemar alpine schools allow you to undertake extensive tours with alpine guides. Are you still looking for suitable accommodation for your hiking holiday in the Dolomites? We have compiled a list of the most interesting huts and hotels for you. Benefit from our winter offers and best book your attractive winter holiday in Eggental today. We will be happy to advise you on further questions.